Here’s something a little different we spotted while riding up at the Oregon Dunes. We have two UTVs set up to haul Honda ATC70s on the back. They could come in handy as little support vehicles. 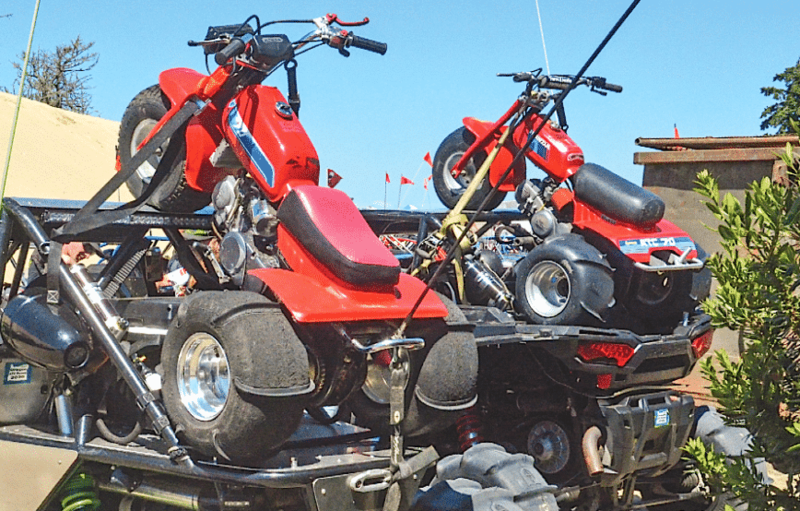 Or perhaps these guys haul the ATCs to a spot out in the dunes and unload them for their kids to ride. 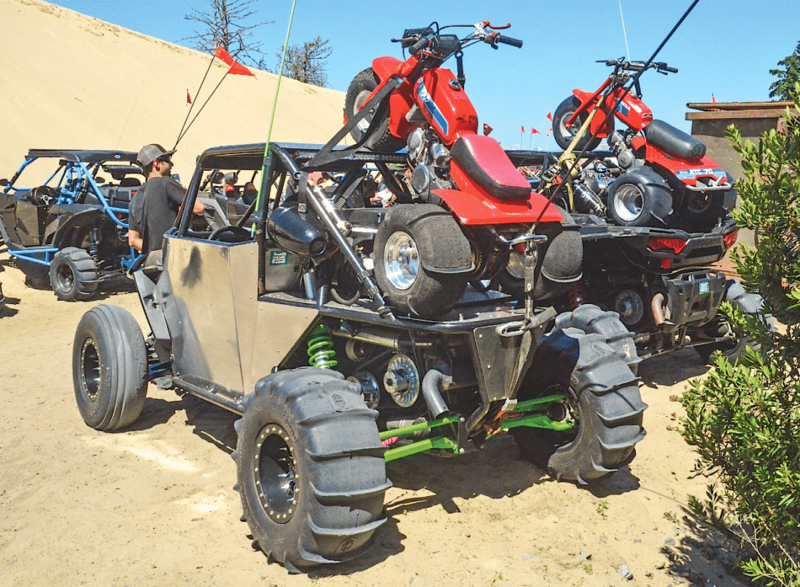 Either way, there’s no doubt that the little three-wheelers allow you to keep on going if the UTV gets stuck in the mud or between two tree it can’t fit through. 2019 CAN-AM MAVERICK SPORT UTVs!